I have been making this recipe for berry pie for years. Like the zucchini bread recipe, this one is my mom’s recipe, not my grandma’s. But, since it is so delicious and this is fruit season, I thought I would share it with you as a bonus recipe. I have always made this recipe with strawberries and strawberry jello (which I highly recommend you try as well), but since I had an abundance of raspberries on hand, I decided to try it with raspberries and raspberry jello. I used a graham cracker pie crust, but I will give you the crust recipe that goes with this pie because it is super simple and I use it in all different pie recipes. Combine with a fork. Press into the pie plate with your fingers and prick with the fork many times. Bake for 10 minutes or until lightly browned at 425 degrees. Cook until thickened. Remove from the heat and add 1/4 cup jello (flavor of the berries used), cooling slightly. 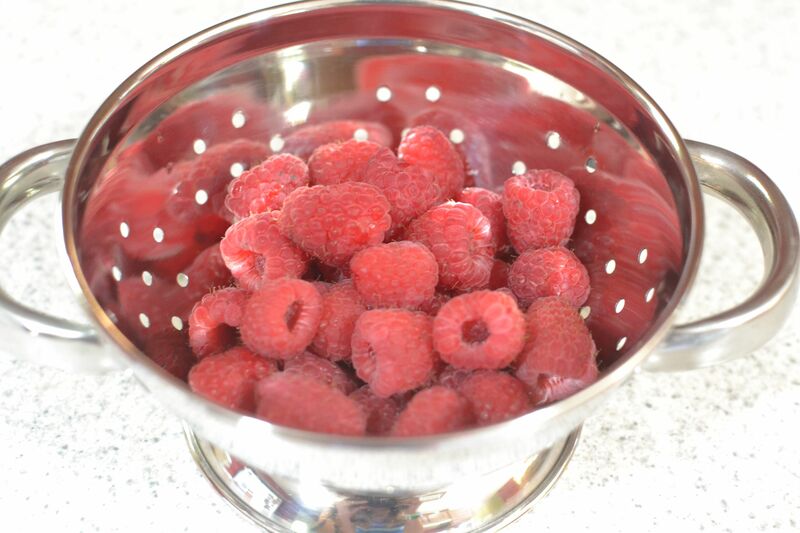 Add berries to cooled crust. Pour filling over berries. Chill. Whipped topping can be used if desired. This recipe can be made with raspberries and raspberry jello, strawberries and strawberry jello, or blueberries and peaches with peach jello. I think the best combination I ever made with this recipe was strawberries, raspberries and blueberries with strawberry jello. I made it for the 4th of July and it was a hit! Just like orange ice, this simple no-bake pie is a classic summer dessert. It is a delicious pie that looks like it took hours to make. 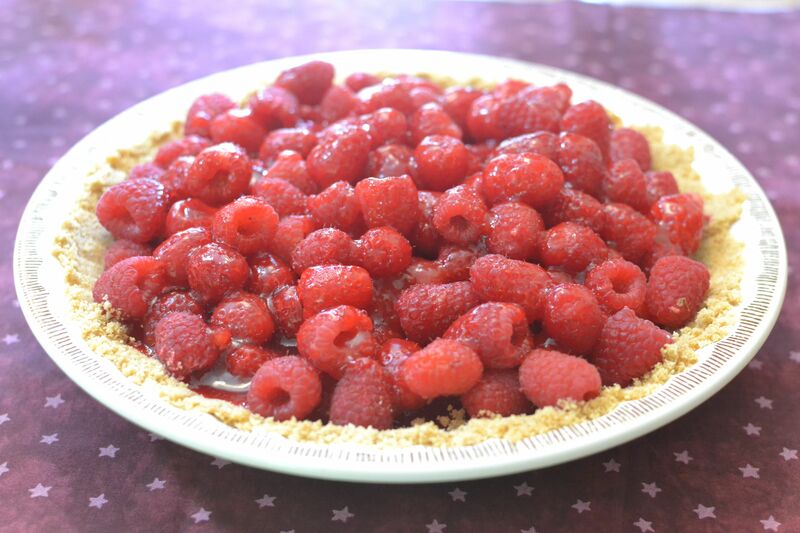 This entry was posted in bonus recipe, Pies and tagged dessert, farm cooking, fresh fruit, grandma's cooking, Jello Pie, Pie, Raspberries, Raspberry Dessert, Raspberry Pie, scratch cooking, Summer dessert by GrandmothersRecipeBox. Bookmark the permalink.